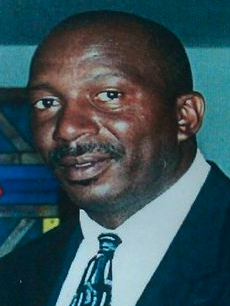 Nearly 10 months have now elapsed since unarmed, 54-year-old Bernard Bailey was summarily executed by former Eutawville, South Carolina police chief Richard Combs, as he sat in his pickup truck in front of the town hall building. Combs was immediately rewarded with a paid vacation, aka “paid administrative leave,” while Mayor Margaret Atkins only public comment about the murder was a press release which does not even mention Mr. Bailey’s name. The city stopped paying Comb’s salary two months into the “paid leave,” and appointed a new chief, Wesley Cook, this past November. Kathryn Richardson, the Internal Affairs and Public Information Director for South Carolina Law Enforcement Division (SLED), told us this afternoon that their report has been forwarded to South Carolina’s First Circuit Solicitor’s (prosecutor’s) Office and that she has no further update. She could not confirm whether the state solicitor and the U.S. Attorney were conducting separate or a joint review of the report. We reached out to Xochitl Hinojosa, the Public Affairs Specialist for the U.S. Department of Justice via email. We received an Outlook “read” receipt, but no response as of publishing time. We will update further if we receive more information. Trevon Martin shooting has received immediate attention and action. Why has Bernard Bailey murder been swept under the rug? Because the shooter was one of their own, right or WRONG the establishment is protecting an under performer with a badge. Where is justice for Mr. Bailey? I am a veteran of the United States Navy, Quarter Master Second Class. I received a letter from Michael G. Wilson, SR. Stating he is with United States Marines or formally with the Marines. Mr. Wilson’s letter claims that Richard Coms former United States Marine is not guilty of executing Mr. Bailey. Mr. Wilson is asking for funds to defend Mr. Coms. I was brought up in Glastonbury Ct. USA. During my time in the Navy I was on temporary duty before I was sent to Bahrain Island in the Persian Gulf. Since I was a Petty officer I was assigned to what was known as a brig chaser in Washington, D.C. My Job was to take Navy personal who were held in the Brig on work details on the base. I observed brutality in the brig while picking up prisoners and returning them to the brig. One day while I was waiting for my charges, I saw a black man being dragged into the brig who had been drinking. All guards in the brig were Marines. This man was taken to a shower in my view put inside and put under cold water and then turned off the cold water and turned on full hot water until he was screaming at the top of his lungs. They continued several times. I saw other prisoners beaten with rifle butts by Marines. The point here is that Marines were taught to kill and I saw them hurt people with my own eyes. The story told by Mr. Wilson about what happened to Mr. Baily was not told same story told here. There are always two sides to every story. I saw with my own eyes what happened in the brig. Another Petty Office and my self took a Navy young yeoman to the Naval prison in New England. We had to change trains in Boston, we had to put him in the Brig in Boston. He didn’t look so good when we picked him up. We both had Colt 45 semi automatic pistols. The poor fellow was really scared. What they told about what happened to Mr. Baily here on the internet is quite different than in the letter I received today. I did not send a check! I never have thought that Marines would make good policemen. Marines were great fighters and they killed the enemy in war.